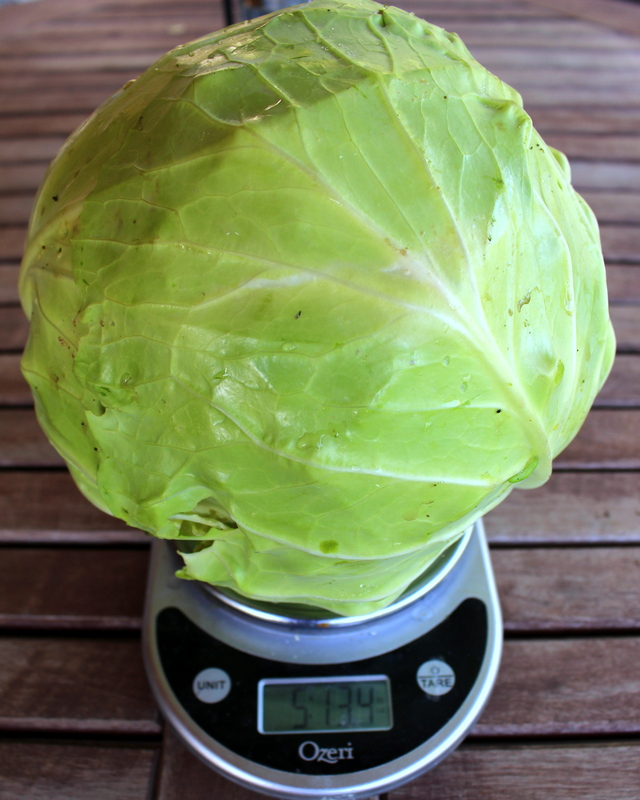 A typical head of cabbage from my garden. 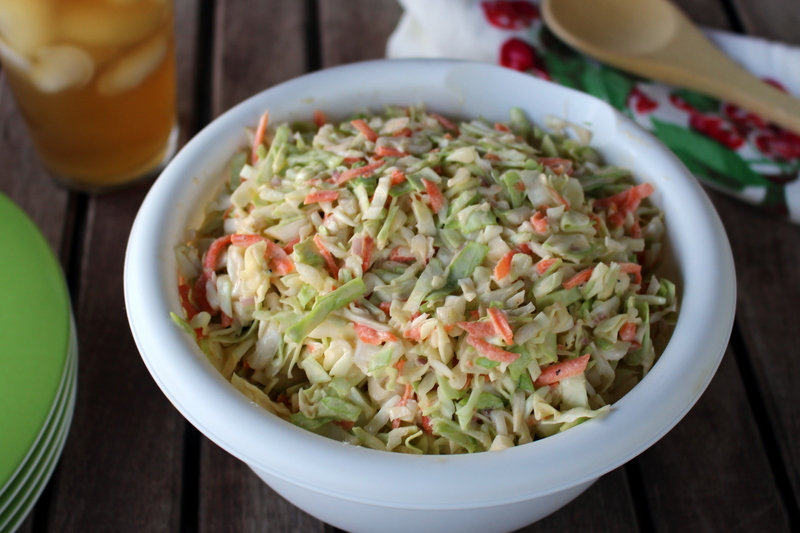 There are about as many recipes for coleslaw as there are tube tops at the Iowa State Fair, and people tend to be resolute in their belief about the right way to make it. Should the dressing be creamy and mayonnaise-based, or should it be sweet-tart and vinegar-based? Is it okay to use fancy ingredients like nuts, grapes, bacon, or even cheese (oh, the horror), or should you stick with the basics – cabbage and maybe some other veg like peppers, carrots, or onion? I’ve tried a lot of different coleslaw recipes in my day and finally landed on my favorite, declared to be “the best” at a recent neighborhood potluck. It’s super easy to make. Start with your basic shredded green cabbage, add a little carrot for color and onion for bite, and then dress the whole thing with a creamy homemade dressing. My secret ingredient is buttermilk, which adds a unique tang to the usual mayonnaise-based dressing. Plan ahead and let the coleslaw sit at least a couple of hours for the flavors to develop before serving. It will be a delicious addition to any summer potluck. More fun facts about cabbage. In a large bowl, whisk together until smooth the mayonnaise, buttermilk, lemon juice, white wine vinegar, sugar, Dijon mustard, celery salt, and pepper. Add the cabbage, carrots, and onions and combine thoroughly. Cover and refrigerate at least two hours before serving. Use a rotary grater to save time shredding cabbage. I like the Westmark multipurpose, heavy duty grater, which comes with three interchangeable stainless steel blades and non-slip suction pads. (I use the coarse grate disk to make coleslaw.) Click on the image for more information or to purchase from Amazon.com. This entry was posted in Cooking with Garden Produce and tagged cabbage, coleslaw, home cooking, kitchen tools, recipe by Deborah Neyens. Bookmark the permalink.